You're guaranteed the best rate when you book online. The prices listed on our website are always at least 20% cheaper than in our branch locations. When you do a rate simulation online, the final price you see is the actual price you will pay! There’s no need to call to check the published prices. 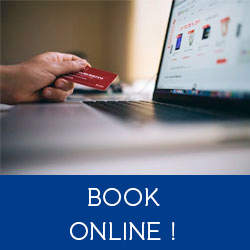 After you pay for your online booking, you'll receive an email confirmation. There’s no need to call to confirm your reservation, unless you just want to say hi to our agents! All the options available in our branch locations will be offered throughout the online booking process. When you pick up your vehicle, we'll take an imprint of your credit card. The card used for the imprint must belong to the primary driver, who must also be present to sign the contract. Please note: The deposit can be up to €650 for a subcompact car and up to €1,500 for certain utility vehicles. 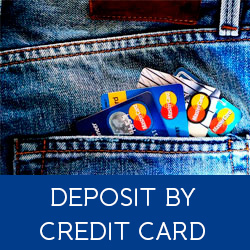 Make sure you check your credit limit before you leave, or notify your bank in advance. Pay in three times at no extra charge! 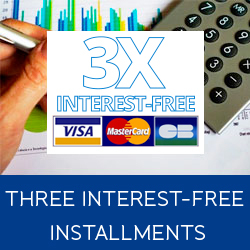 Since we are committed to offering the best service at the lowest price, you can pay in three installments at no extra charge. The only conditions are that you must book at least 3 months in advance and spend at least €200 (excluding tax). In general, you'll get the best rates by booking ahead of time and on our website. Don't worry, this option is always available whenever you reserve online. 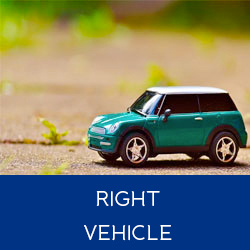 Choose the right vehicle for you! Since each rental is unique, we want to help you choose the vehicle that best meets your needs! Here are some common mistakes to avoid. If there are five of you, book a five-door vehicle! Not so that you each have your own door, but because three-door subcompacts only have four seats! FYI, the Ford Fiesta has 250L of trunk space. Something to consider if you have a lot of luggage! If you're planning on crisscrossing the entire island to discover everything Martinique has to offer, we suggest choosing a diesel engine. For city driving, a gasoline engine will do just fine.